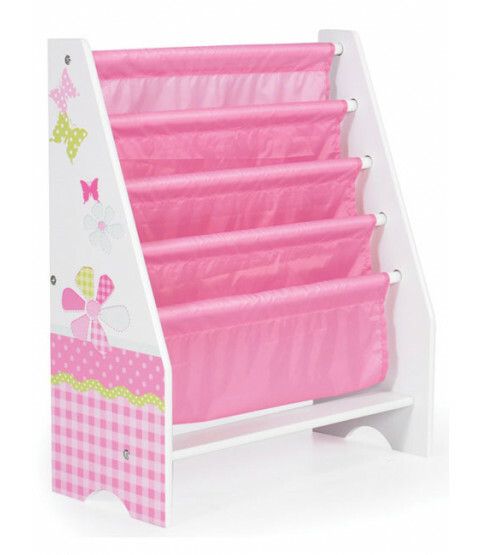 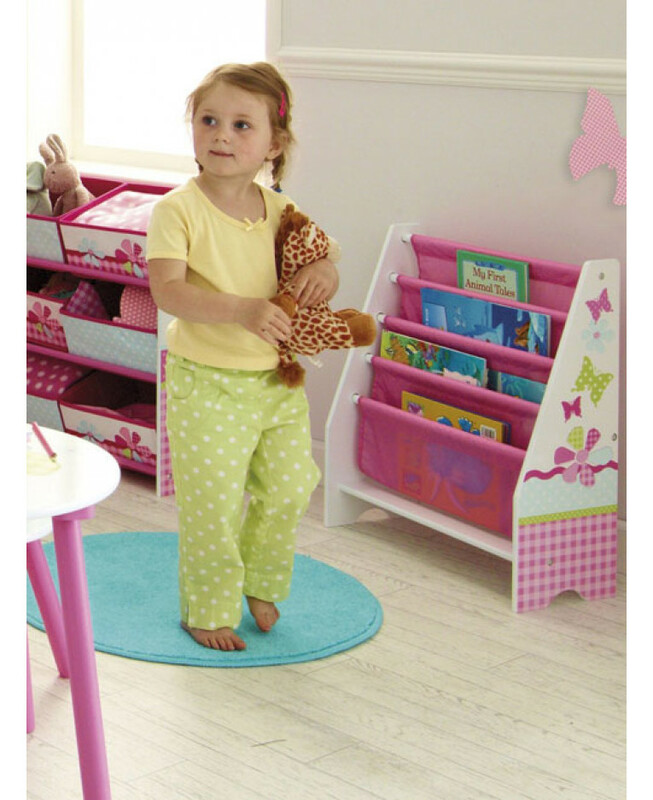 This Patchwork Sling Bookcase is perfect for keeping your little one's room neat and tidy. 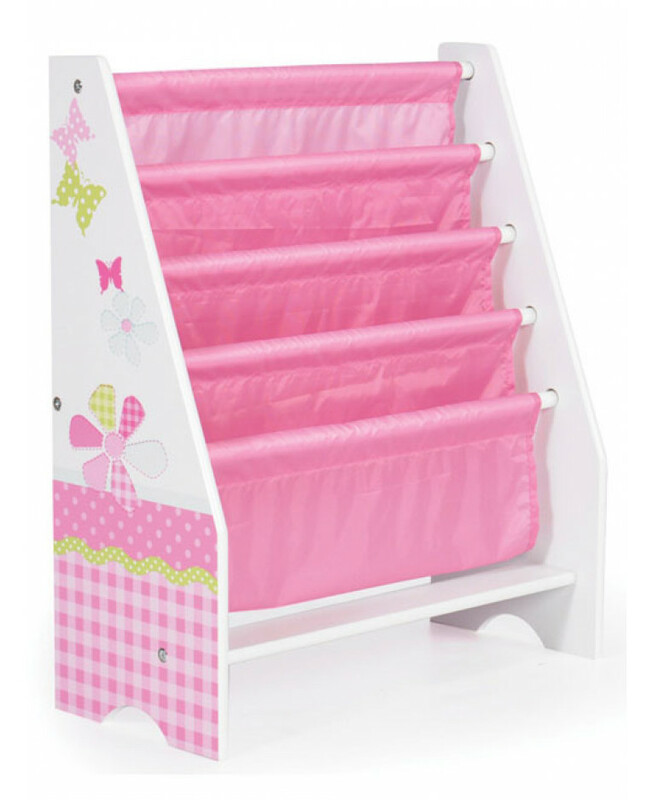 The four fabric compartments can hold books of various shapes and sizes and it is the ideal storage solution for bedroom and playrooms alike. 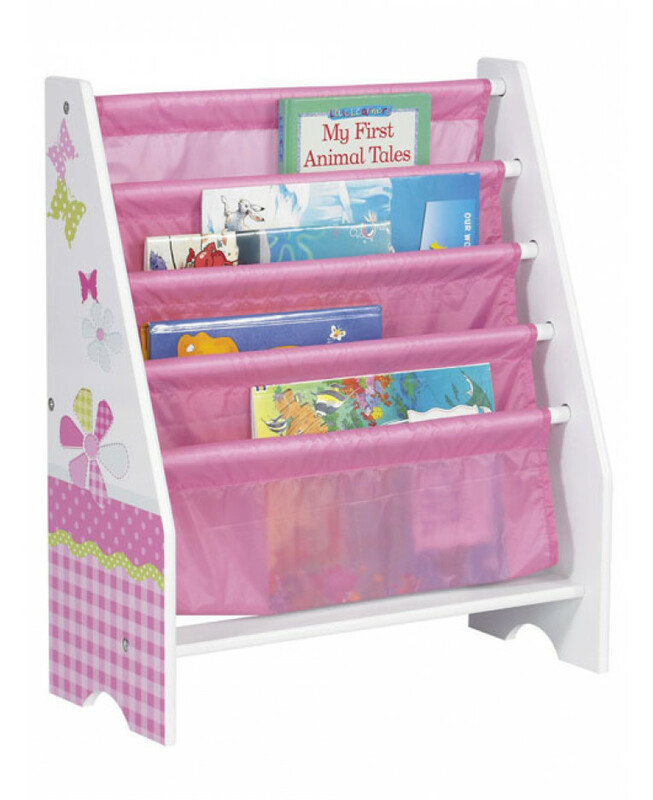 The bookcase has a sturdy frame that features pretty flowers and butterflies graphics in pink, white and green and easy to assemble screw fixings which are supplied with all other components.